Ever wondered what it takes to get your website on Page 1 of Google? 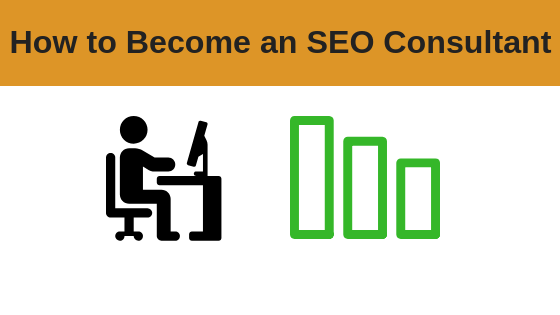 This highly educational and informative online training course will teach you how to set up and run your very own business as an SEO Consultant. The demand for effective SEO services has never been higher and on this course, you will learn a whole host of professional proven strategies & tips for getting your clients websites on the 1st page of Google & other search engines. You need no prior experience in Search Engine Optimisation in order to attend this course. Your tutor will take you on a step-by-step journey explaining what SEO is, the different levels of SEO service you should offer and also how to find clients for your new business. This course will equip you with all the information, tips and tools you need to become an ‘in-demand’ SEO Consultant. Business owners big and small now realise the impact Google is having on how we do business so being visible on Google is now a marketing priority for all business owners who understand the power of the internet. Over 7 hours’ worth of EXPERT tuition, tutorials, and advice on how to become a highly-paid SEO consultant. The SECRET strategies that only the top-earning SEO consultants are using right now to get the BEST back-links for their clients. At the end of the course, you will know everything you need to know in order to start your own SEO Consultant business (NO PRIOR EXPERIENCE IN SEO REQUIRED). EASY TO LEARN and absorb tutorials. SEO is often viewed as a ‘technical’ subject that not everyone can learn. This is NOT true! CHECKLISTS & BLUEPRINTS you can use in order to set up and run your own SEO Consultancy business. STEP-BY-STEP TUITION by an expert tutor who won the 2017 Nielsen Digital Marketing Award. REMEMBER … Your SEO Consultancy Business can be run in your spare time and from your home and you need NO PRIOR EXPERIENCE of Search Engine Optimisation to benefit from this course. Therefore, there is ZERO risk to you when starting up your business. After a career in the Royal Navy and then the Fire Service working in training and recruitment, Rick started his own publishing business in 2005, launching a range of career guides, which were designed to help job seekers gain employment. 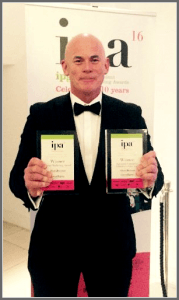 In 2017, Rick won the Specialist Consumer Online Publisher of the Year Award and the Nielsen Digital Marketing Award, too. The judges recognized him for his energetic publishing, brilliant ideas and highly pro-active marketing. Rick is an award-winning entrepreneur, a public speaker, and multiple No.1 best-selling author whilst making over £5 Million in the process. He has authored and self-published more than 150 books and is also the UK’s leading book publishing coach to scores of aspiring authors in the UK. Understanding the basics of Search Engine Optimisation, including what it is and how it works. Which websites you need to be aware of and use in order to analyse a client’s website, including their competitors! (You need this information to outrank your competitors). Google updates, what they are and how they can impact on a clients website and their rankings. What effective SEO really is and what you need to know in order to be able to get a client’s website to rank. Pre-SEO work: setting up a website properly so that it has a better chance of ranking on the first page of Google and other search engines. Getting a website on the first page of Google (all your clients will want this service! Carrying out effective SEO analysis and data gathering on a potential client’s website (a step-by-step process you can follow). How to carry out free website analysis reports for potential clients to make sure they then want to take up your SEO services. How to get a website to rank more than once on the first page of Google. How to stay updated and informed of recent Google updates and what these mean for websites that have been using black-hat marketing techniques. How to avoid the common mistakes that could get your client’s website pulled from Google or result in a loss of rankings. The art of link-building. What it is and how it’s done properly. 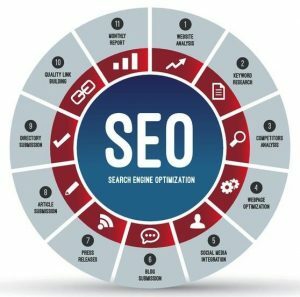 Total ‘White Hat’ SEO marketing techniques and strategies that you can use on your client’s website to help get it to the top of the Google search rankings. How to encourage people to click on your client’s Google website listing in order to dramatically improve rankings. What to do if your client’s website has been penalized. Future-proof strategies to help keep your client’s websites on the first page of Google, ensuring you continue to get paid for years to come! How Google assesses and measures back-links and how to find the best quality links for your client’s website. The HOLY GRAIL of backlink building – you do not want to miss this tutorial! How to create and build solid content for your client’s website in order to improve rankings. The different SEO service levels you need to offer your clients. How to find high-paying clients for your new SEO Consultancy business. FAQ SESSION – At the end of the course, your tutor will allocate time to answer any questions you might have regarding the course content or SEO in general.